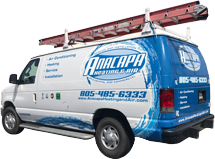 Anacapa Heating and Air, Inc. provides high-quality, affordable heating and air conditioning sales, installation, replacement, maintenance, and repair services in Oxnard, Ventura, Santa Barbara, Thousand Oaks, and surrounding areas. We are a locally and family owned HVAC contractor that has served well over 20,000 residential and commercial clients since 1998. Over the last 19 years, we've become known for our knowledgeable staff, skilled workmanship, reliable service, and fair rates. As a result, we have an A+ rating with the Better Business Bureau, great online reviews, and receive the majority of our business from returning clients and referrals. At Anacapa Heating and Air, we're proud to be a Carrier Factory Authorized Dealer, which means that we've demonstrated an ongoing commitment to excellent service, employee training, and honest business practices. When you work with a Carrier Factory Authorized Dealer, you can trust that your work with be done right the first time, every time. All of our heating and air conditioning services are provided by highly experienced, factory trained HVAC technicians, many of whom are also certified by North American Technician Excellence (NATE). With their extensive experience and years of training, you can rely on our team to reliably diagnose and resolve any heating and cooling problem you are having. Our techs are qualified to repair and maintain all makes and models of air conditioners, furnaces, heat pumps, mini-splits, thermostats, ductwork, and air filtration systems. Our technicians are well vetted and professional. They have passed thorough background checks, wear company uniforms, and arrive in a branded vehicle that is fully stocked with the most commonly needed replacement parts. While on the job, our techs will respect your time and your property. We provide a two-hour window for service calls, and call ahead if there's going to be a delay. Once on site, we use the latest diagnostic equipment and repair techniques to get your heating and cooling system back up and running at a cost-efficient price. We use flat-rate pricing for heater and AC repairs and tune-ups, and offer priority scheduling and 10% discounts on repairs for those who become preventative maintenance club members. As a Carrier Factory Authorized Dealer, Anacapa is authorized to sell and install Carrier's complete line of commercial and residential air conditioning and heating equipment for new construction projects, remodels, tenant improvements, and energy-efficiency upgrades. Carrier HVAC systems are among the most energy efficient, technologically advanced, and durable on the market. Some of their systems have won Consumer Digest Best Buy awards, and many models are ENERGY STAR qualified. 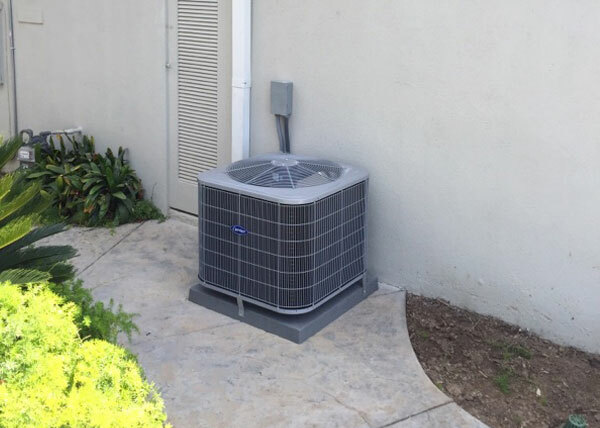 When installed by a Factory Authorized Dealer, Carrier's air conditioners and furnaces are also backed by an impressive 100% customer satisfaction guarantee for one full year. If you are interested in a new or replacement Carrier air conditioner, furnace, heat pump, or mini-split system, contact us today to schedule a free on-site consultation and estimate. 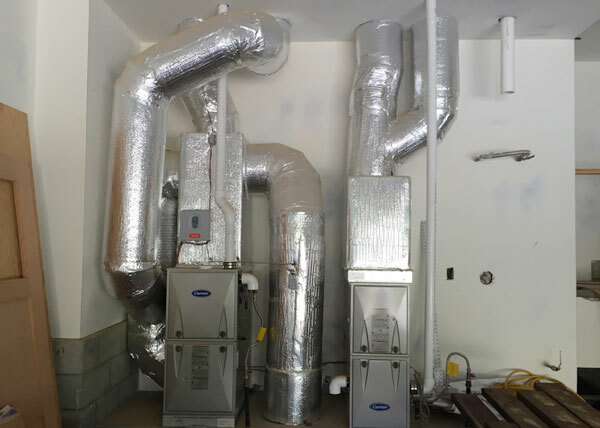 We'll perform a load calculation and assessment of your indoor comfort needs in order to custom-design a personalized heating and cooling system with the right size equipment. Carrier offers financing with approved credit through Wells Fargo, and we'll make you aware of any applicable rebates that you may qualify for. Call Anacapa Heating and Air, Inc. today to schedule heating and air conditioning service in Oxnard, Ventura, Santa Barbara, Camarillo, Thousand Oaks, Westlake, Simi Valley, Ojai, and surrounding areas. We are fully insured and hold a C-20 California HVAC contractor license. We're also members of the Ventura County Contractors Association, the Institute of Heating and Air Conditioning Industries (IHACI), the Building Trades Association, and the Better Business Bureau. We're open Monday through Friday, from 8am to 5pm, and provide on-call service 7 days a week. Kevin is amazing and very hands on! He saved me more then I can say! I used a guy who was a self handyman with many years of HVAC exp . . .